The Ministry of Transport has requested related agencies to tighten control of animal transportation at traffic centers to prevent pork and pork products with unclear origin from entering to unaffected areas. As per the Ministry’s document, all competent governmental bodies ought to ban transportation of pigs without clear origin including pork gifts amongst organizations and residents in border crossings. Additionally, the agencies must work closely with the health sector, police, and veterinarians to deter people from transporting products through traffic centers, roads, railways, rivers, sea and aviation. 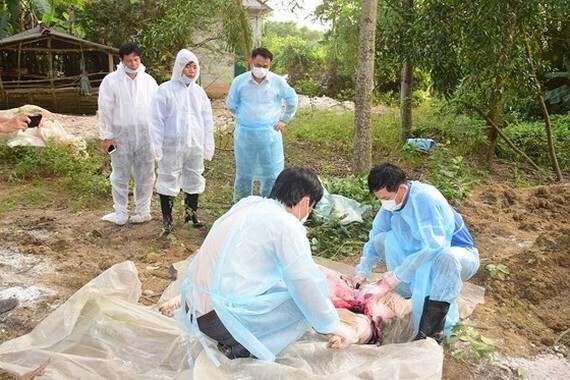 Especially, responsible agencies have to closely monitor all pork products including processed or cooked meat thoroughly check tourists from infected countries into Vietnam. The Ministry warned that any bodies in charge of pig transportation will be punished if smuggling and illegal sales of pigs occur in the area under their jurisdiction.